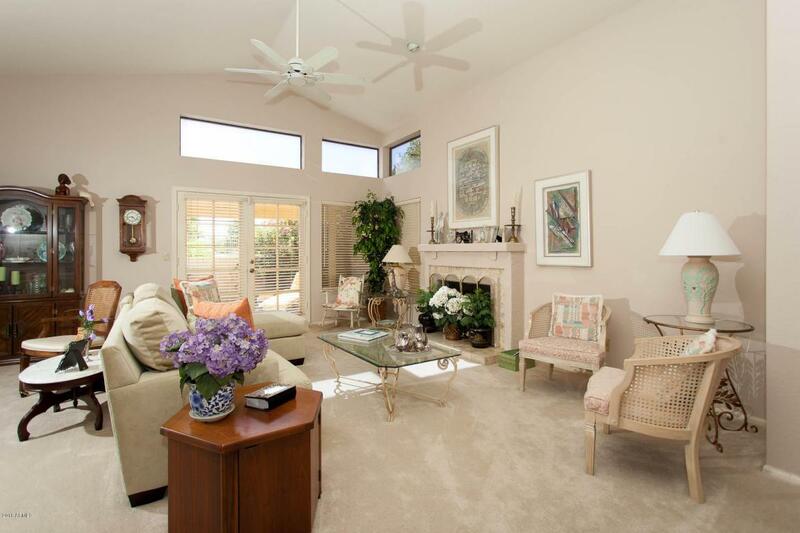 Outstanding opportunity to own a well cared for home in popular Paradise Manor. With superb location, this West facing home backs up to a greenbelt on the East side of home (shaded) with great views of open spaces and lush landscaping. 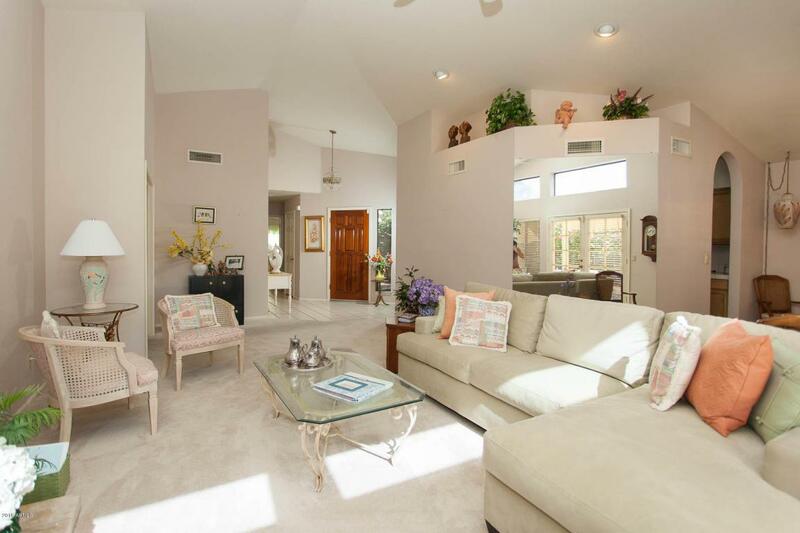 Inside you'll find soaring vaulted ceilings that welcome you home every day. 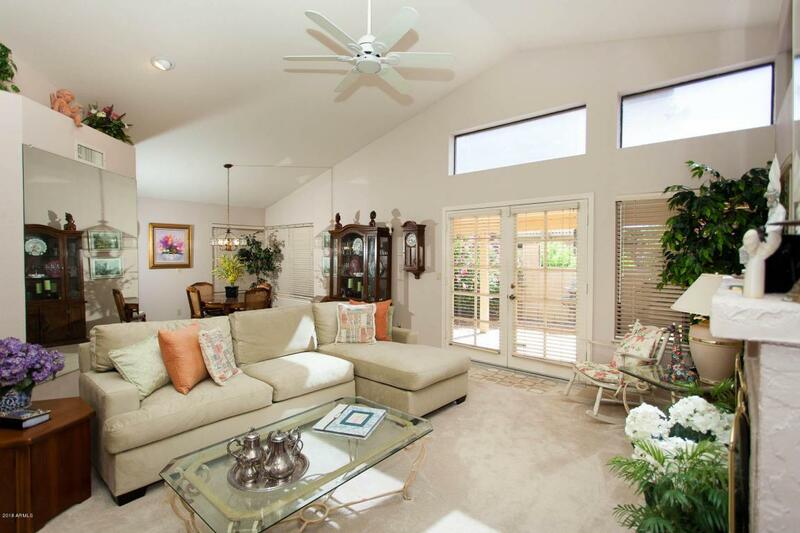 This awesome floor-plan offers flexibility with 3 bedrooms and 2 bathrooms, of which bedroom 3 can be used as Den/Media Center/Office with private sliding glass door that leads to citrus and plant lined covered patio. The spacious master suite includes separate garden tub and walk-in shower along with hers and his closets. HOA maintains front yard so community is always looking sharp. 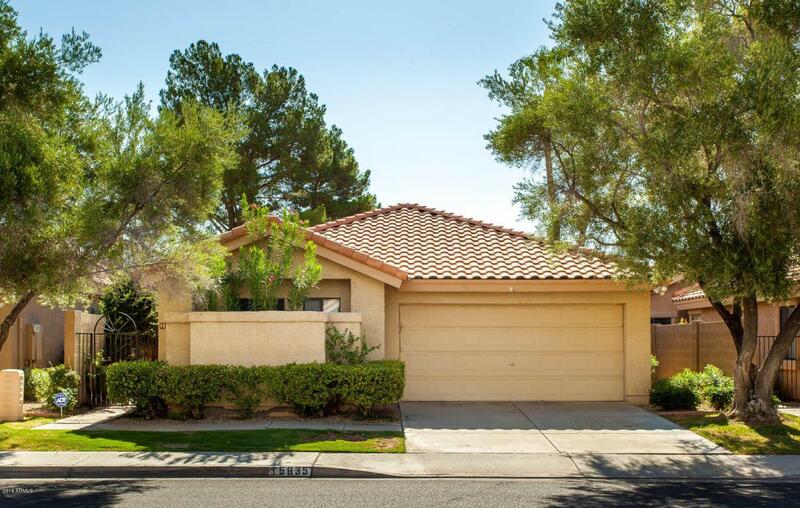 Close to schools, world class shopping and freeways. So much to enjoy, come take a look.